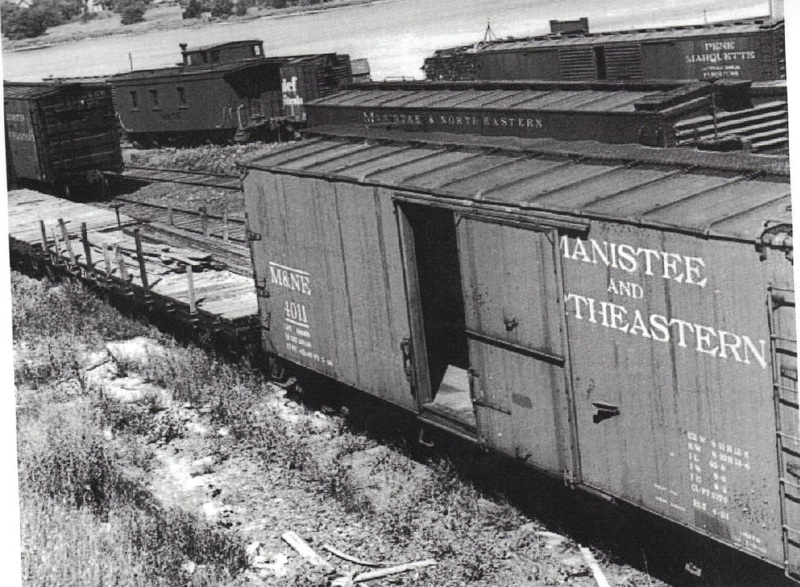 MIn 1931 the effects of the Great Depression took its toll on the Manistee and Northeastern Railroad as it was having serious financial problems. Prominent Manistee industrialist, Philip P. Schnorbach, successfully helped reorganize the Manistee and Northeastern Railway. 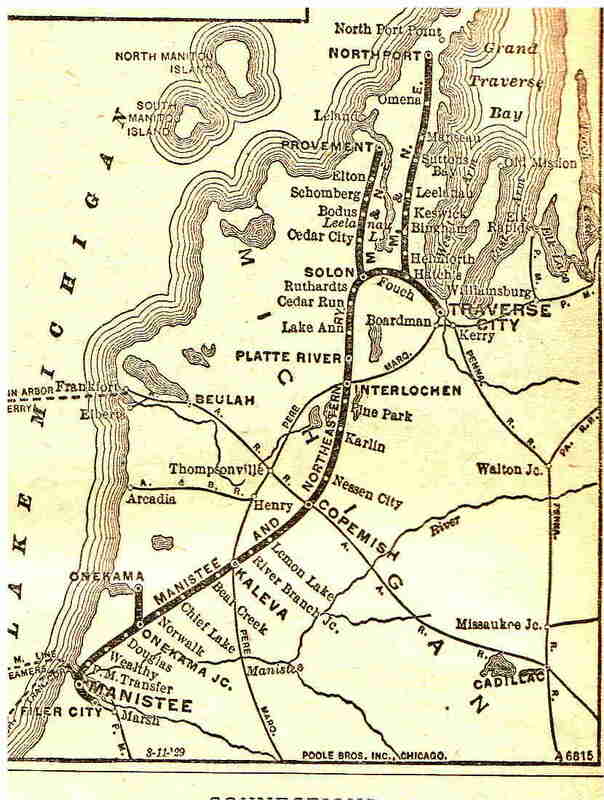 The Pere Marquette Railroad gained control of the Manistee and Northeastern Railway and Philip P. Schnorbach was elected president of the M&NE. these boxcars to update it fleet of freight cars. The original Pere Marquette 85000 series boxcars were built in 1922 by Western Steel Car and Foundry. They had a steel underframe and roof, double sheathed sides, steel vertical rib ends and wooden doors. The original Pere Marquette 86000 series boxcars were built in 1923 by Pressed Steel Car Company. These cars had a steel underframe and roof, double sheathed sides, steel horizontal rib ends and corrugated steel doors. The prototype pictures show what the original Pere Marquette 85000 sand 86000 series boxcars looked like before the rebuild. 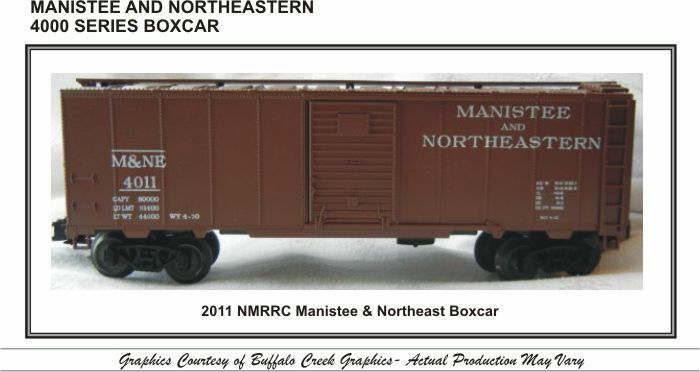 The picture of the actual M&NE 4011 boxcar is a rebuilt 85000 series boxcar. sides and was also used for our prototype photo. Although there are 40’ double sheathed boxcars available from other manufactures, we chose to stick with Weaver because we wanted to maintain our tradition of offering a very small run (100 units), to offer three road numbers instead of only one as well as keep our costs to a minimum. Additionally, being made in the USA helps ensure accurate delivery timeframes.